The Absolut Melon Cup Cocktail is an Absolut Vodka and Sparkling Wine cocktail served in a highball glass with ice. 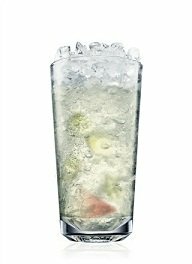 Muddle melon in a highball glass. Add Absolut Vodka, simple syrup, and crushed ice.